The skip-level manager review is a process used by leaders who manage other leaders. Our free tool comes complete with free forms and step-by-step instructions. Every manager wants to be successful. They want to be perceived as a trusted, effective and knowledgeable leader – someone who their people respect, even admire. So how does a manager’s supervisor (2nd level manager) know how the manager (1st level manager) is being perceived by the team? This is why a skip-level manager review is so important. Every leader who has responsibility for more than one level of a team or organization will benefit greatly by using the skip-level manager review process. It’s a great way to stay connected to employees within your organization who do not directly report to you, and it provides an excellent source of information that you can use to coach your manager(s) for improved performance. Skip-level manager reviews can be tricky. The 2nd level manager must position the review properly so that the 1st level manager is comfortable with the process. In addition, it’s important to make the employees being interviewed comfortable with providing open and honest feedback about their manager. In order for employees to feel safe sharing sensitive information, it is essential they know their feedback will remain confidential. All information obtained through the skip-level manager review must be combined with feedback from the other employees. Information shared with the manager should not be attributed to specific individuals. "When we help others to perform at the highest level of their potential, we receive something of value; our character is strengthened." 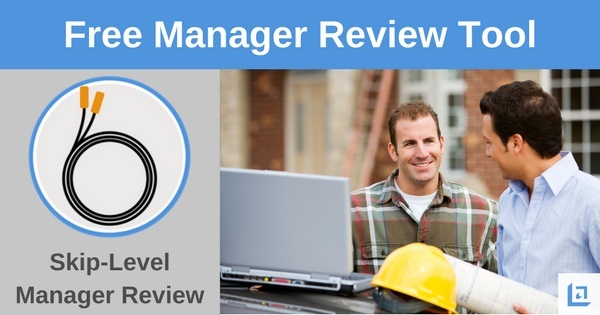 Skip-level manager reviews should include all of the 1st level manager’s direct reports. It is important to meet with each employee independently to ensure you are getting a full range of the team’s perceptions. 1st level managers should be encouraged to take the lead in helping employees to be comfortable in sharing openly with the 2nd level manager. Managers who truly want to become better leaders will embrace the skip-level review process as an opportunity to further develop their knowledge and expertise. If your manager is providing you with accurate feedback about the team throughout the year, then most likely there will be no surprises during the skip-level manager review process. This is the ideal scenario, but even if this is the case, the importance of doing the skip-level review cannot be overstated. Interviews should be done in a safe setting, where the employee can be assured that privacy will be respected. While it is always great to praise employees in public, all sensitive discussions need to be done in private. If possible, plan to meet in an office with the door closed, or in a private conference room. Schedule the skip-level review sessions in advance and plan for each interview to last about 30 minutes. Schedule 45 minutes per meeting just in case your discussion takes a little longer than planned. If you’re done early you can use the extra time to finalize your notes or to prepare for the next interview. “Thank you for meeting with me today. It’s important to me that all of our employees are getting the support and leadership they need in order to continue to learn, develop their skills, and grow within the company. Part of my job is to assist your manager in making sure we are meeting the needs of our employees, so I'd like to ask for your assistance today in being very open and honest in your feedback. Above all else, it’s important that all parties ( 1st level manager and his or her employees) perceive the 2nd level manager as being well intended; approaching the process with the "heart of a teacher", and looking out for everyone’s best interests. The key purpose of the skip-level review is to identify as many positive things going on within the organization as well as areas that might require more focused coaching. 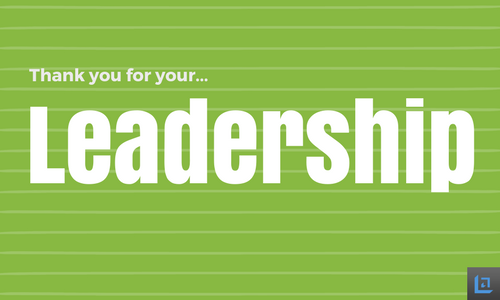 "I really appreciate all your hard work and leadership." As a 2nd level manager, you should take the time to prepare your questions for the skip-level manager reviews. Keep in mind that you’ll receive more information when you ask open-ended questions, rather than a closed-ended question where the employee can simply respond with a “Yes” or “No”. During your preparation, it is advisable to discuss any performance or behavioral issues that are currently being addressed by the manager so that you will be armed with the facts if the employee attempts to sway you against the manager. If your company has an HR representative, take the time to get their views on the issues before meeting with the employee. Approach each meeting with eyes wide open, and consider all feedback through a fair and balanced lens. Tell me about what you’ve been working on. What are your goals? Do you understand how your goals are measured? Are you on track to meet your goals? How often does your manager review your progress with you? What do you like least about your job? How could we make that better for you? What specifically does your manager do well? What could your manager do better or differently? How often do you meet one-on-one with your manager? Describe a typical conversation in your one-on-one meetings. Do you feel supported by your manager? Does your manager truly understand what you do and what you need in order to be successful? Does the manager communicate effectively with you and the team? How? Does the manager address sensitive issues in a timely manner? Does he address issues effectively? What is the one word you would use to best describe your manager? Where do you see yourself in 2-3 years? What are your career goals and aspirations? What are you doing now to prepare yourself to meet those goals? Share ideas to help the employee to further develop. Finally, ask the employee if there are any questions she would like to ask of you. Be as open and generous with your responses as you asked the employee to be with you. Thank the employee for her time and wish the employee well is achieving her career aspirations. All upper level managers (2nd level and higher) really do need to take the time to conduct skip-level manager reviews. Without doing skip-level reviews, upper level managers will only know what their direct reports are telling them, which increases the risk that they will receive, in large part, biased and self-serving information. The skip-level manager review process provides a clear path for you to reduce this risk, while at the same time remaining closer to your workforce. You will have a much better idea of who makes up the bench strength of the organization, and your employees will view you as a thoughtful, hard working and caring leader for taking the time to meet with them. After all of the skip-level interviews have been completed, the 2nd level manager needs to take all of the feedback collected, assess the information thoroughly and thoughtfully - looking to identify patterns of success and areas for improvement. 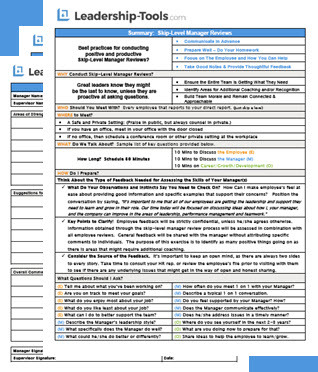 Attached to our free Skip-Level Manager Review form is a Skip-Level Feedback Discussion form. Use this tool to write down a formal summary of the skip-level feedback. This completed form should be reviewed in detail with the manager, along with any action plan for improvement if needed. Both the manager and 2nd level manager should should sign the feedback form. It is recommended that you conduct skip-level manager reviews at mid-year. This will ensure that you have a good basis for writing the manager’s annual review. The time you invest in meeting with employees is never wasted. In fact, the more time you invest in making sure your employees have what they need, the more successful your team will be. To download our free Skip-Level Manager Review tool, simply subscribe to our free newsletter. You will immediately receive a password that grants access to our entire leadership tools library.